Plaza Theatre Company is a very active community theatre that reaches nearly 30,000 patrons every year. With over 200 performances a year, PlazaCo sees patrons from throughout the DFW Metroplex come through its doors all year round. Corporate Sponsors for MainStage productions have the opportunity to make a direct impact on the vitality of the community as well as use marketing opportunities to reach new and diverse audiences. 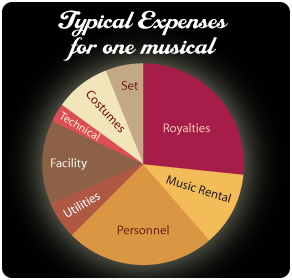 Why is Plaza Theatre Company a great choice? Plaza Theatre Company's audience represents a variety of demographic profiles with audiences coming from all around the DFW Metroplex. All sponsors are offered a generous hospitality package and hospitality benefits (see below). 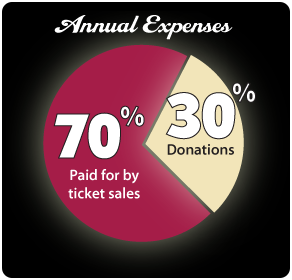 Come join the Plaza Theatre Company team by becoming a corporate sponsor today. Name recognition in playbill and in curtain speeches at performance of your choice.